Today is the ninth anniversary of 9/11 and, judging from all the anger boiling up in the last month, it seems as a nation that we’re still pretty raw. Forgiveness is a challenge for me. A woman told me once that forgiveness is only granted, not chosen or earned, and I’ve thought about that one ever since. I always thought I was a very forgiving person but really I’d just been trained to move on. Put it behind me and not think about it anymore. Leave the wounded parts in the past like bloody garbage, wrapped up in a cloth and stuffed in a hole. Over the years I left a lot of wounded parts behind me. For a variety of reasons I eventually had to go looking for them again, scattered far and wide as they were, and I managed to locate most of the pieces and collect them all in a kind of emotional basket-of-casualties that I kept next to my journal. While it feels good to have me all back together again in one place where things start to make a lot more sense, still I’m not quite sure what to do with it now. It’s not like these are working parts anymore. The remains of the various traumas, big and small, are pretty mangled. Yesterday, a friend and I went up to More’s Mountain to hike the trail up at the top, and a giant black bird with a yellow beak showed up. It looked like a crow only three times as large and it came over the trees and flew directly at us, coming in low and circling once, studying us as we stood still, heads tilted back, watching it fly against the sky. Then, satisfied, it flew back over the trees again and we were left a little awed, a little shaken by the contact. I wondered if it was some species of vulture. I went up there alone last month, with a dead crow I found in the middle of the road. I carried it up there to give it a decent burial, to return it to mountain peak and thin air because…well, I don’t know why exactly. Because I love crows. Because it felt more respectful than leaving it to be squished and flattened by successive car tires. But I think I was after something else, too. I wanted to whisper a prayer into its wings and then maybe, just maybe, have it carry that prayer up somewhere where it might be heard. Although it wasn’t a prayer so much as a cry for help, sent out into space, into the heavens, into the void, asking something, somewhere out there to hear and help us as we struggle with all the challenges that are coming to a head in the world right now. Because it just seems like we need a lot of help. 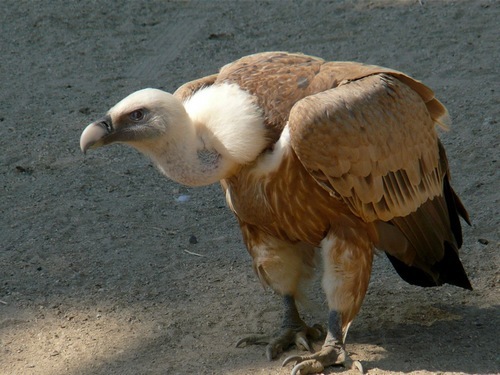 But when I got up to the mountain with the crow, wrapped in cotton cloth and plastic and cradled in my backpack, I encountered a vulture instead. It was a turkey vulture and it surprised me, flying out from behind a stone spire to my left as I stood gazing out across the valley far below. It flew in close right in front of me, twisting its head to look at me, study me, and I realized it must have smelled the dead crow. It was eerie, I’ve never seen a vulture that close before, and I’ve certainly never been considered quite like that. It stirred something primal and pre-moral inside me. I felt a kinship with the bird…and I liked the feeling. There are still places in Tibet where they practice Sky Burial, one of the ancient, cultural burial rituals of the region. I’ve read descriptions of the practice and it’s about as raw and graphic as it gets. Loved ones carry the bodies of their deceased, sometimes on their backs, hundreds of miles to the sites where sky burials are still performed. Those who perform the service receive the body and place it on great flat stones where they wait until the sun first rises in the morning, illuminating the site. Then they butcher the body, grind the flesh and bone into paste, and signal to the waiting vultures ringing the site to come. And they do come, by the hundreds, devouring everything before they leave again, carrying the last remains of that person’s physical life away with them into the sky. The first time I heard of it I was both repelled and fascinated. It sounded so strange at first, so gruesome, and yet something in my stomach relaxed at the thought. I love my body. I’m so grateful to have the opportunity to live in it for as long as I get to. It’s like having the greatest horse of all time, my steed, my ally, my companion on this wild journey through the world, and when I die I want it set free again, too. I want all the hits that it’s taken for me over the years, all the wounds it’s licked, the burdens it’s carried, the pain it’s survived wiped clean again. Released. Forgiven. Not embalmed, enshrined, and buried. Vultures aren’t afraid of dead bodies. They don’t look at them with revulsion or disgust and I like that about them, because either do I. Instead they accept and receive them, taking their inherent nutrients and recycling them, turning them back into something life giving, nourishing, strengthening, and sustaining. I guess that’s what I want for all these old wounds I’m carrying around with me, these old, damaged, mangled pieces of myself that I’ve reassembled and now don’t know what to do with. I want to somehow eat them, transform them into something that’s ultimately nourishing and strengthening. I wonder if maybe that’s what forgiveness is supposed to be about, not some kind of lobotomized memory wipe, but a final consumption and transmutation. I want to take these horrible old memories, the wounds and scars, and cut them apart, grind them into paste, then swallow them down into some ancient, primal place of acid and fire inside myself that can finally, finally harness what happened, release it, and make me whole and strong again. Lend strength to my wings and help me fly back into the sky where I can soar around again through the rest of my life, loving and accepting and free. I hope someday I’ll be granted that kind of forgiveness. I hope someday we all will. mind you …if you want to be eaten just get laid out on my field… the bloody fox will finish you off nicely! I know this in an old post, but I came across your blog yesterday because of the entry about the Best Buy Santa commercials. I started reading some of your other posts, and had to comment on this one! People often think I’m weird for this, but I LOVE vultures. About a year and a half ago, I found out that a good friend has terminal cancer, and that I’m going to lose him far earlier than I should (he’s still with us for now, though). I had a really tough time dealing with it for the first few months, and then I suddenly became interested in birds for some reason. While looking up local birds online, I stumbled across an article about turkey vultures. I was fascinated, and spent hours looking up photos, videos, and information about them. A few days later, I was in the backyard doing some yard work, when I started thinking about turkey vultures, and about how funny it was that I’d become interested in them when I was struggling with the idea of death. Then I looked up at the sky, and what did I see soaring in the sky right above me? A turkey vulture. Talk about goosebumps! I’ve always believed that there was something to the Native American idea of totem animals, and that moment solidified that belief. I whispered a thank you to the vulture and watched him until he moved on a few minutes later. After that, I started noticing turkey vultures all the time (maybe they’d been there all along and I just hadn’t noticed them before, I don’t know). I now volunteer at a wildlife rehabilitation center once a week, where I work with all sort of injured animals — including turkey vultures. I originally started doing it as a way to give something back to them, but I find that they help me as much as I help them. The more time I spend with them, the more at peace I am with mortality. They are awesome, wonderful creatures that don’t get nearly as much respect as they deserve. How amazing that you get to work with these beautiful, graphic, unselfconscious friends so closely, and that they’re helping you come to peace with mortality. That’s what happened to me working with hospice, too. Sometimes I think we’re all cultured to be squeamish from childhood, which really it works against us, cuts us off and makes us frightened of things that wouldn’t be if we were just more familiar and comfortable with them. Like dying. My husband once had a turkey vulture feather fall out of the sky into a pile of dirt next to where he was walking. It landed on the pointed end of the quill, sticking straight upright like a little flag–a message to “pick me up! Pick me up!” He looks at it as a sacred thing and takes it with him whenever he retreats into the mountains to be alone. It’s always seemed to me like we’re ALL here to help, guide, and care about one another, however we can. I’m sorry to hear about your friend, Jen. But I’m glad and grateful you’ve had time to try and sort it all out and make peace.